Welcome to Kottage-tek.com. The home of duct tape, deck screws and BEER! Where almost anything can be accomplished with beer, power tools and a complete lack of planning and engineering. This is where Bruce and Cliff will take on the challenges of life at the cottage. How to fix things that broke, as well as how to fix things we broke while trying to fix something else. We will also cover something we refer to as "barnyard engineering". These are simple things we do to make life at the cottage a bit easier and more comfortable. All with a complete lack of respect for code requirements and personal safety. We are starting some video fun which we will post to YouTube. 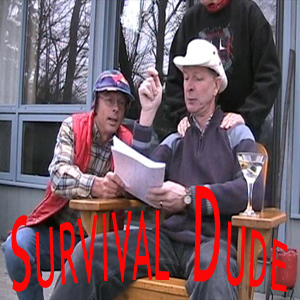 Have you ever seen "survivorman" on TV? Well at kottage-tek.com we we don't take things quite so serious. We had fun doing this one and there will be more episodes to come once I get the editing done. Stay tuned. Our latest kreation up here is the newest edition to our empire. Introducing "Kottage Kreations" (patents pending). This is where our kreativity and inventiveness will be fueled by beer and idle hands. We hope to share some of our more ingeneous inventions as well as some improvements to existing technologies. We may even do a few variations of an existing theme. 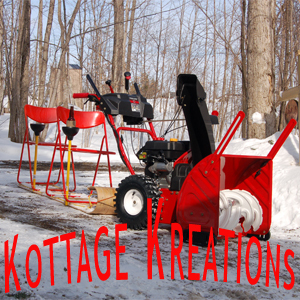 Stay tuned and keep an eye on our Kottage Kreations page for more info, links, and videos. Bruce is always bugging me to make money on the internet and I think I finally figured it out. 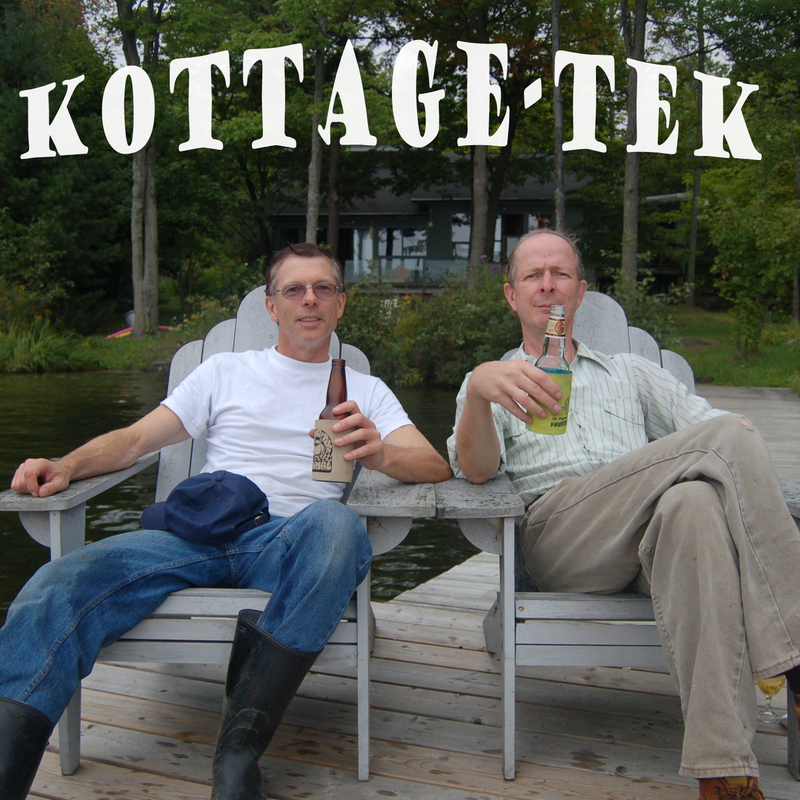 Introducing THE KOTTAGE-TEK SWAG SHOP on Cafe Press. This is where you can purchase your Kottage-tek swag. Everything from T-shirts and Hoodies to Beer steins and Beer Coolers. You can definitely dress and drink with style and panache. Just like us. And of course all proceeds will go toward the never ending Beer Fridge project. Visit us at www.cafepress.com/kottagetek or just click a link. You know how it works!